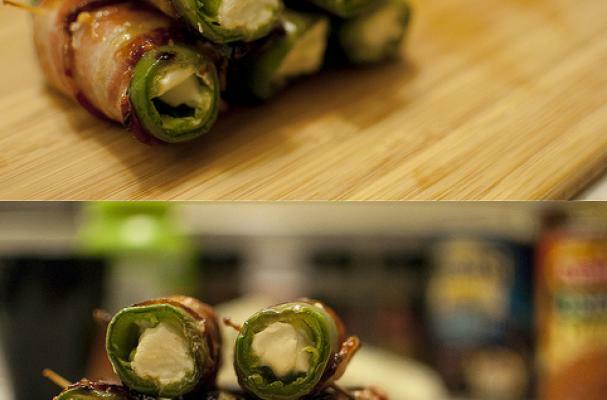 Gluten-free jalapeno poppers are a wheat-free appetizer perfect for gameday. These spicy bites are baked instead of fried (your arteries will thank you). They still have that irresistible crunch from using gluten-free cereal crumbs that coat the outside of the popper. The filling is your standard cream cheese and cheddar but feel free to add bacon, minced jalapeno, or garlic paste for an extra kick of flavor. In a separate bowl, drizzle melted butter over corn flakes, stirring to coat. Dip peppers filling-side down in the bread crumb mixture, pressing carefully to secure bread crumbs. Bake on a parchment or foil lined baking sheet for approximately 20 minutes or until golden brown and cheese is melty and gooey.